For the entire month of November and probably the better part of December I join the ranks of tens of thousands of people who live in Johor but work in Singapore in the daily ritual crossing the Malaysian-Singapore border. This was something that I also went through last year while waiting for my Indonesian work permit to be sorted out. The journey starts with a bus journey from Bukit Indah to the Malaysian immigration checkpoint where everyone will make a mad dash to be the first through immigration and thus be at the front of the queue for the bus across the bridge linking the two countries. This rush is necessary as one could end up standing in the bus in excess of an hour when the bridge is congested with vehicular traffic. Once at the Singapore checkpoint, it’s another mad dash across immigration and customs. This is where the casual traveller will look on in envy at those possessing the Singaporean eIAC pass which enables the use of the immigration auto gates whilst they are stuck in what could potentially be a very long queue at the manual counters. Once through, another mad dash ensues for the bus to bring the commuter to Jurong East where the journey continues on Singapore’s MRT trains. 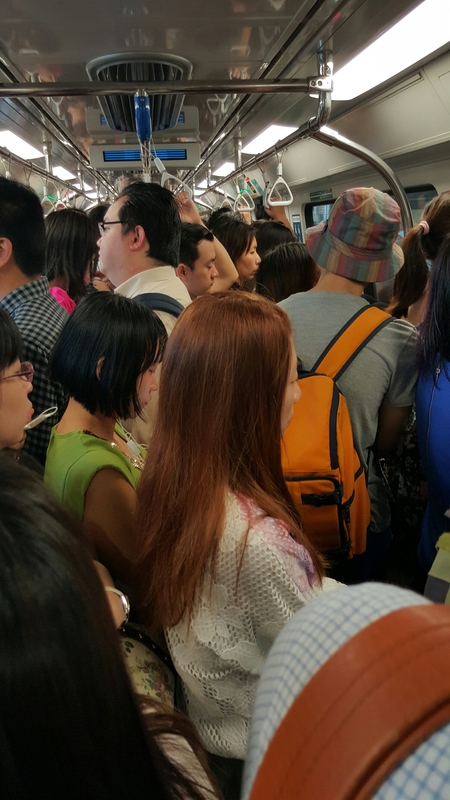 While Japan’s subways are famous for how they have pushers to shove commuters into trains, Singapore’s MRT trains can get pretty claustrophobic during rush hour and it’s not uncommon to have to wait for 2 or 3 trains before being able to get on. The journey repeats itself backwards in the evening when it’s time to call it a day and head back home across the border. It’s amazing what people can endure in the never ending quest to make a living and put food on the table. Much respect to these people and may their daily commute be uneventful and pleasant.